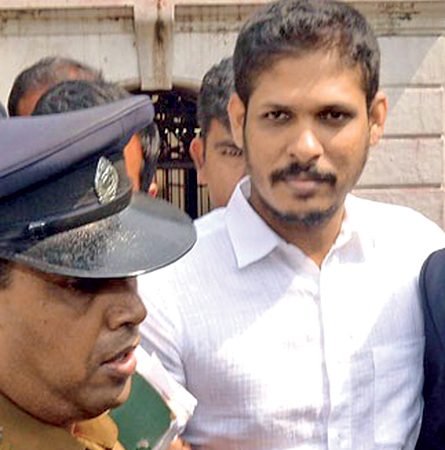 The appeal petition filed by Gampola Vidanage Samantha Kumara alias ‘Wele Suda’ who was sentenced to death by Colombo High Court over two counts of drug trafficking charges was yesterday fixed for further hearing on February 15 by the Court of Appeal. Through his appeal, accused-appellant Samantha Kumara is seeking the jurisdiction of Court of Appeal to review and set aside his conviction and the death sentence imposed by the High Court. The Court of Appeal Bench comprised Justice Deepali Wijesundara and Justice Achala Wengappuli. On October 14, 2015 the alleged drug dealer Gampola Vidanage Samantha Kumara alias ‘Wele Suda’ was sentenced to death by the Colombo High Court, on the charges of possessing and trafficking 7.05 grams of heroin in Mount Lavinia in 2008. In his appeal, he stated that trial judge had issued this order after misdirecting himself in law and the facts resulting in a greater miscarriage of justice to the appellant. He states that the facts and law have been erroneously applied to secure his conviction resulting in a grave miscarriage of justice. President’s Counsel Anura Meddegoda appeared for the accused-appellant.